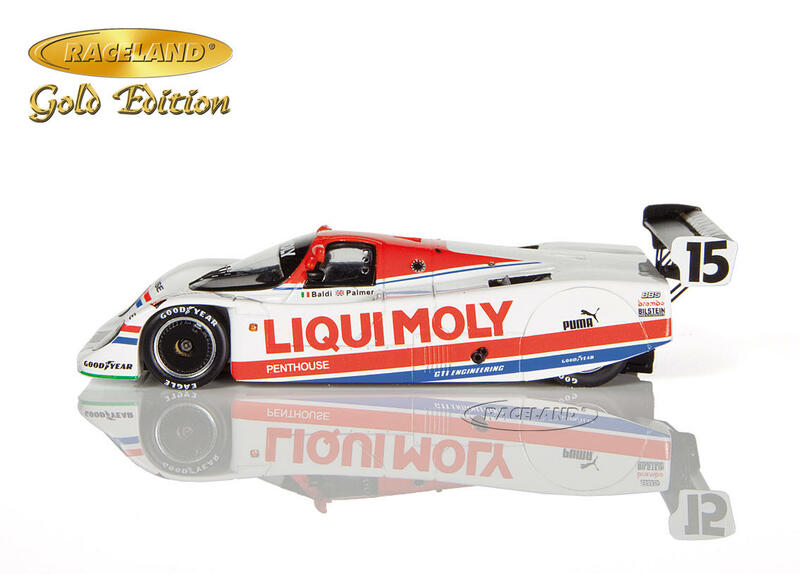 The product "Porsche 962C GTi Richard Lloyd Liqui Moly winner Norisring WSPC 1987 Baldi/Palmer" was successfully added to your wishlist. 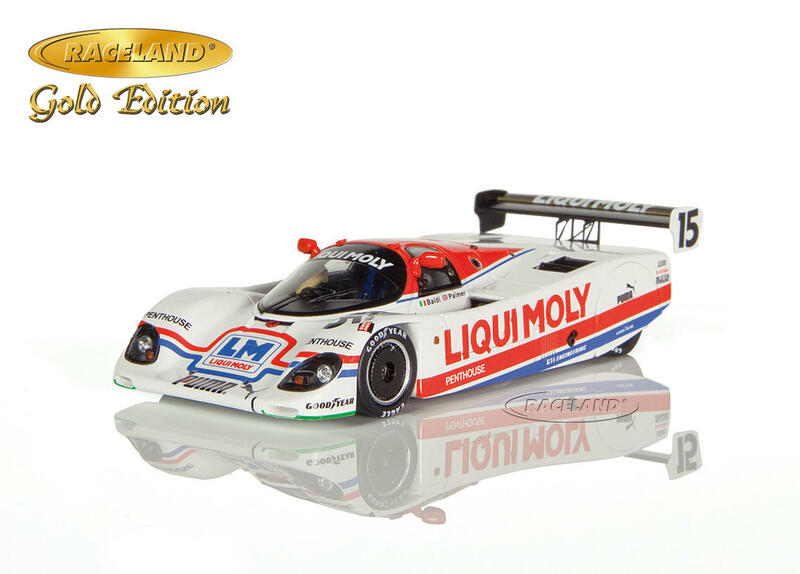 After his own career as a racing driver Richard Lloyd founded RLR Richard Lloyd Racing also known as GTi Engineering in the World Sports Car Championship. 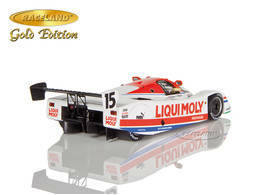 Nigel Stroud had designed Lloyd's special 962C GTi in 1986 and the car differed from the standard Porsche 962C mainly via the separate rear wing, a more aggressive front nose and flap and the different head lamps. It is reported that a page in the TWR Jaguar design book inspired Nigel Stroud to cover the rear wheels completely mainly to improve the aerodynamic performance of the car. In 1987 the Nuremberg Norisring 200 Miles were part of the World Sports Car Championship for the very last time attracting all the works cars of Porsche, Jaguar and Sauber. Dr. Jonathan Palmer and Mauro Baldi qualified their 962C GTi 9th on the grid but the driver pairing did a fantastic job during the 2-hour battle and won the race after 354 kilometers. 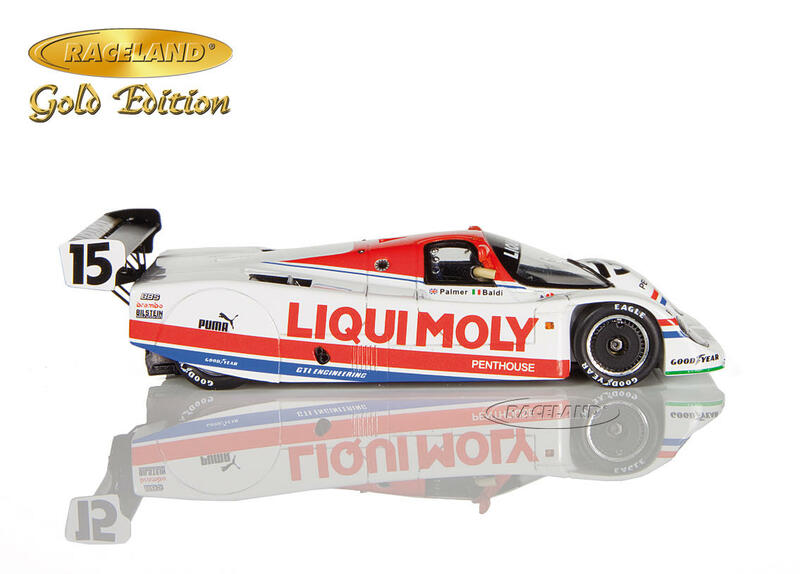 This triumph at 200 Miles of Nuremberg and a victory at the Kyalami round were the best result the special Porsche 962C GTi left in the WSPC history books.